Ask A The Ranch_Strathmore MARKET EXPERT! DESCRIPTION IMMEDIATE POSSESSION!! !Well maintained 2 storey half duplex in the community of The Ranch. NO CONDO FEES, The main floor is an open concept, kitchen has an island, a pantry along with a dining area with lots of windows to allow lots of light in. Living room is a nice size with a gas fireplace to cozy up too. You will also find a laundry/mudroom along with a 2 piece powder room to finish off the main floor. Upstairs you will find the master bedroom with a 4 piece ensuite, 2 nice sized bedrooms and another 4 piece bathroom. The basement is untouched for you to finish as you like. Attached Double Car Garage is so nice in the winter months. Back Yard has a deck off the dining area and summer shade on those hot evenings. Quick access to all shopping and highway for commuter. 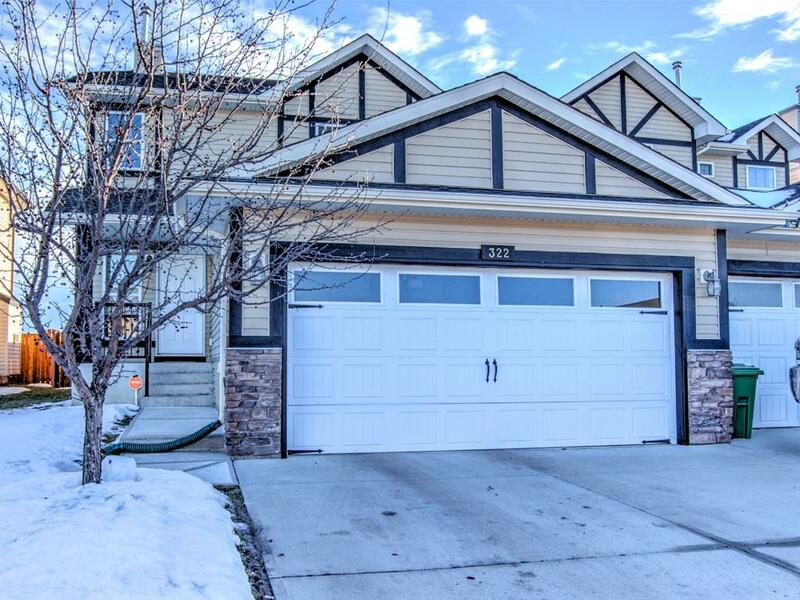 Home for sale at 322 Ranch Ridge Co Strathmore, Alberts T1P 0A6. Description: The home at 322 Ranch Ridge Co Strathmore, Alberta T1P 0A6 with the MLS® Number C4220235 is currently listed at $289,000.